Lucasfilm have released a new clip of this week's Star Wars Rebels episode, Holocrons of Fate which features the return of Maul. The clip shows Maul confront Hera as he coerces her to reveal the location of the Jedi holocron, which we discover is based on the ship. In addition, we learn that it was Hera who convinced Kanan to take Ezra on as his apprentice, demonstrating Hera's leadership qualities. It reminds the audience that whilst Kanan is a Jedi, he is not an all knowing and wise being; his character is inherently flawed. 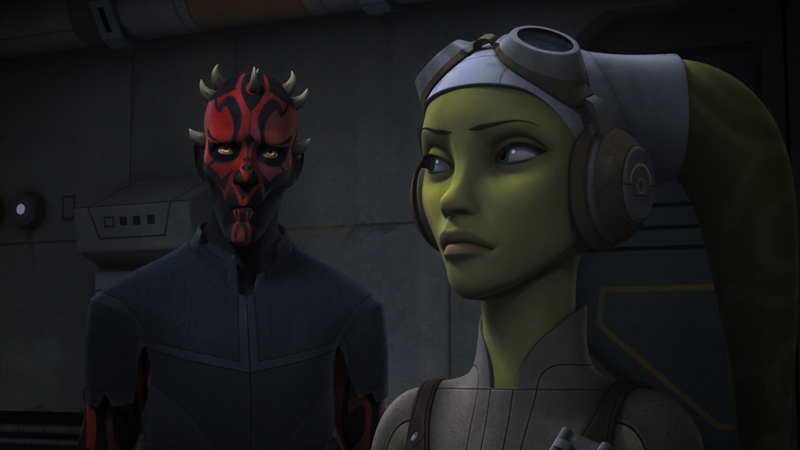 The next episode of Star Wars: Rebels airs on Saturday 1 October at 8:30PM EST on Disney XD.